Maybe Olympic fever has you distracted, or maybe the weather is too darn cold for you to think straight. Whatever the reason, it's now February 13 and you still haven't gotten around to ordering flowers for Valentine's Day. It might not spell the end of the relationship, but arriving home empty-handed is not a good look. So what are your options for ordering last-minute Valentine's Day flowers? Lucky for you, there are plenty of other procrastinators in the same boat — and the florists know it. It won't be cheap, but if you're willing to shell out for the perfect posy, plenty of sites are still offering next-day delivery. And, depending on where you're sending to, you can even find a fair few same-day shipping options. 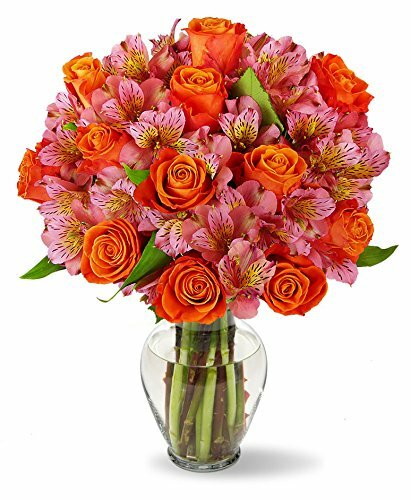 But even florists have their limits: The latest you can order for same-day delivery is 3:00 p.m. on February 14 in the recipient's time zone (at Teleflora). So you really can't put it off too much longer. But let's be real: If you don't have it together by 3:00 p.m. day-of, those flowers weren't meant to be. Let's just hope you've written one heck of a love poem, or at least made some impressive dinner plans. The Bouqs has several selections that can still be ordered in time for Valentine's Day — but they might not last long! Each bouquet comes in three different sizes: Original, Deluxe, and Grand. Vases are not included but are offered as an add-on. And if it's your first order, they're offering 15 percent off. Weekday shipping is free as long as you've created a Bouqs account, and it's available in all 50 states. There's even delivery tracking so you can make sure your gift really will arrive on time — critical if you're choosing next-day delivery. And if you're really pushing it, the Bouqs offers same-day delivery for certain locations. If it's the can't-go-wrong, dozen red roses you're after, ProFlowers has your back. They've got plenty of choices, especially when it comes to classic arrangements in red, pink, and white. You can add upgrades like a vase (there are several styles to choose from), chocolate-covered strawberries, a spa set, or a teddy bear. Shipping isn't included in the price, but, in addition to next-day options, ProFlowers offers an additional upgrade to guarantee delivery in the a.m. Or, opt for same-day delivery as long as you place your order by 2:00 p.m. in the recipient's time zone. There are still last-minute bouquets to be found at BloomThat, which lets you filter their flowers by delivery location and date. You can choose from several different vases to add to your order, and if that's not enough for bae, some bouquets also come with chocolate, candles, or other treats. Shipping is not included in the price, but is clearly marked at checkout. Same-day delivery is available in the San Francisco Bay Area, Los Angeles, New York City, and Brooklyn. And if you're a Bloom That first-timer, don't forget to add the code IMNEWANDAWESOME for a discount at checkout. FTD has a big selection, with a lot of their bouquets available in three different sizes. Some arrangements have vases, and some offer vases as an add-on. You can also include a greeting card, a teddy bear, chocolates, or a balloon. Once you provide the shipping address, they let you know what's available for Valentine's Day delivery to that location. Shipping is not included in the prices, but same-day delivery is no problem, as long as you've ordered by 2:00 p.m. in the recipient's time zone. You've still got V-Day options over at UrbanStems, where you can filter available bouquets by delivery location and date. Some arrangements have vases while others don't, and there is the option to add cute little extras like candies or signs. For most delivery locations, you'll have to order by 2:00 p.m. Eastern Time on February 13 to guarantee Valentine's Day delivery. Same-day delivery is available in New York City, Washington, D.C., Philadelphia, Austin, and Baltimore. Shipping costs are included in the price, and the code LOVE20 will get you 20 percent off your order. Teleflora has a huge range of bouquets, all created by local florists, and they let you filter your options by delivery location and date. Vases are included with most bouquets, which come in three different sizes, and you can add on balloons, stuffed animals, or chocolates. Delivery charges are not included in the prices, but next-day delivery is a cinch. They've even got you covered for same-day delivery as long as you order before 3:00 p.m. in the recipient's time zone. Because of course they sell fresh-cut flowers. If you're a Prime member, there are plenty of bouquets still available for next-day delivery, depending on what time you order and where you're shipping to. 1-800-Flowers.com has all the roses a person could ask for. 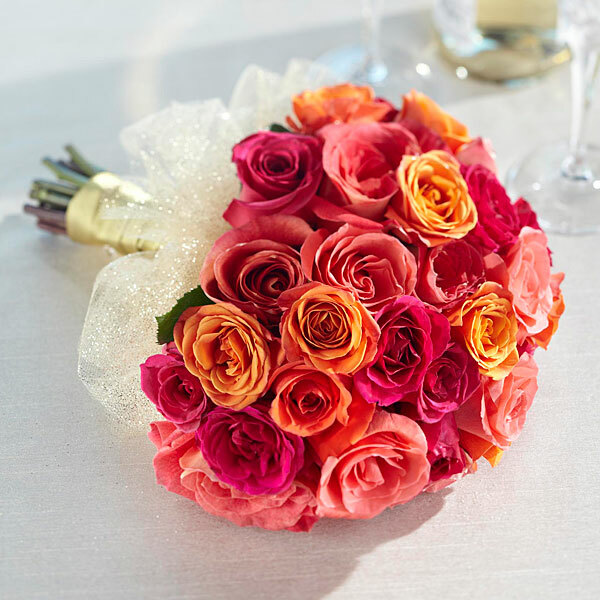 Bouquets come in your choice of sizes, and if a vase isn't automatically included, it's available as an add-on. Enter your shipping ZIP code and the site will show you what's available — and how long you still have to order — for guaranteed next-day delivery. Same-day delivery is available before 2:30 p.m. in the recipient's time zone (or 2:00 p.m. if you're having the flowers delivered to a business). If you're going to be hand-delivering your flowers, you might want to check what's available at your supermarket or local florist shop. Not only will you be 100 percent sure they'll arrive on time, you'll also probably save a few bucks. Easy peasy.